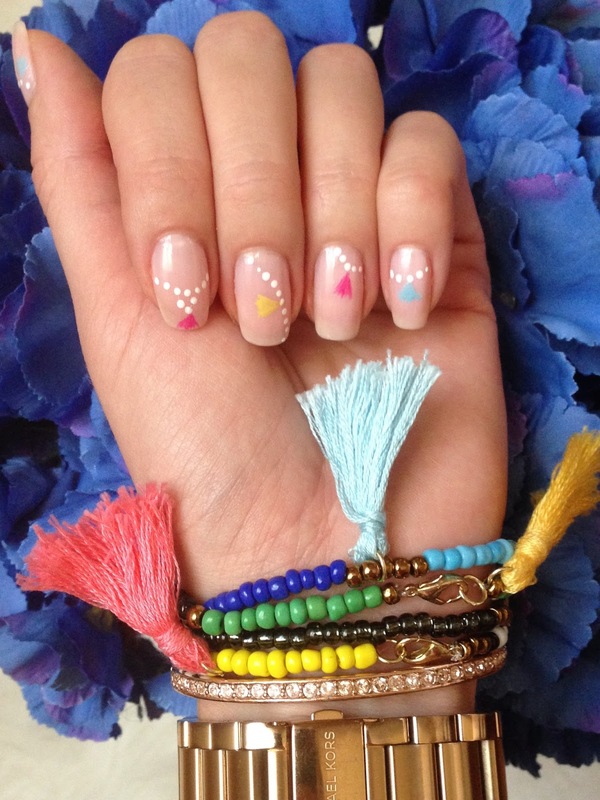 Lesia Style: Polka Dot, Braid or Tassel? Hi friends! How are you? Today I want to share with you a few of my nail designs. They are easy to do so I decided to combine them in one post. First one is a classic polka dot nail design. 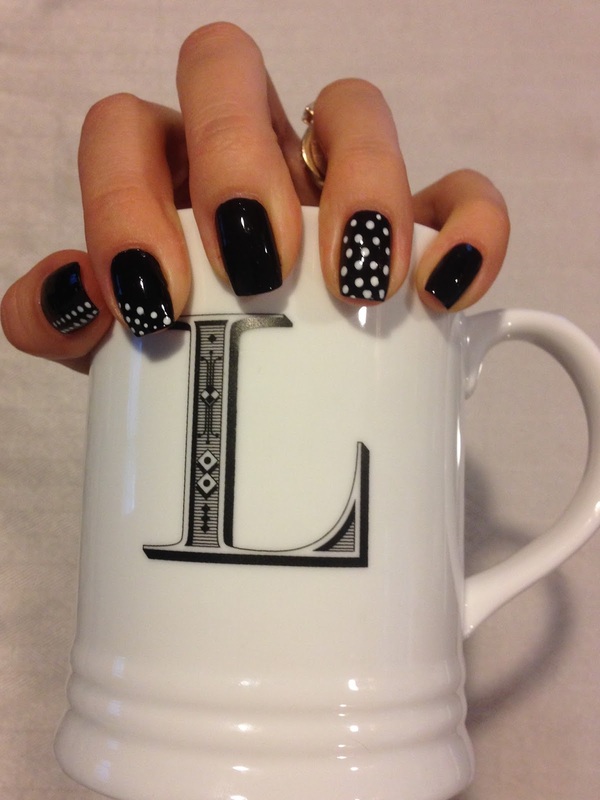 You will need black and white nail polish and dotting tool. Second one is a "braid". 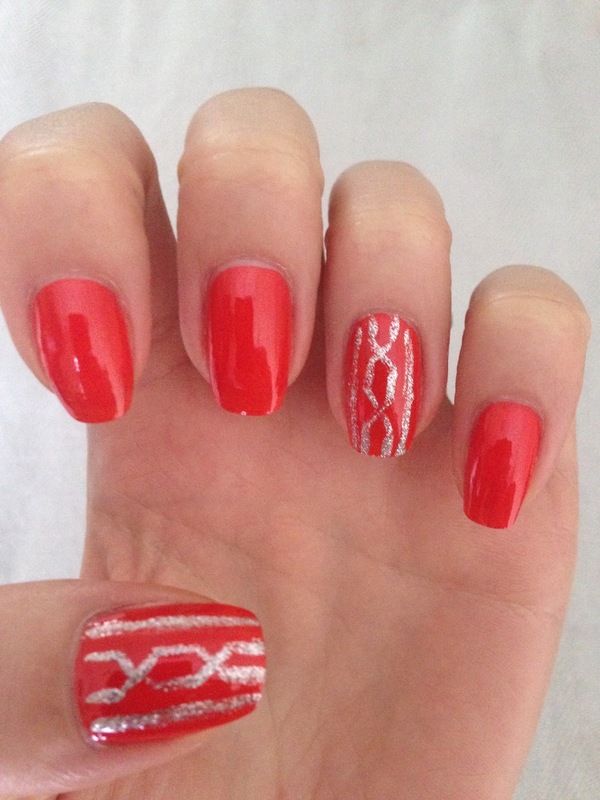 To create this design I used red and silver nail polish and a thin brush. 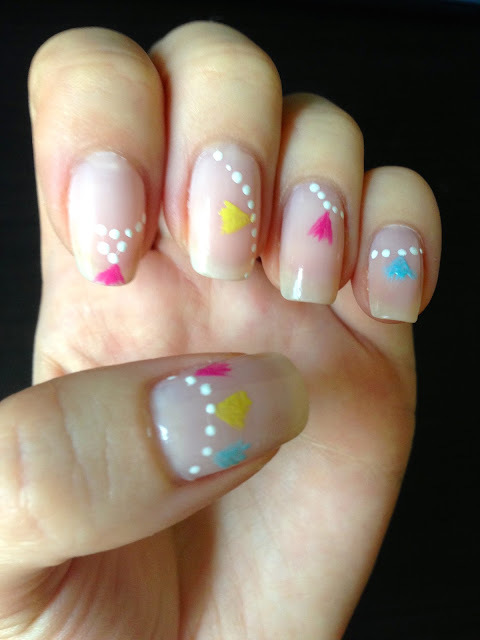 Third one is a "tassel" nail design. I don't have a step by step tutorial for this one, but it's also fairly easy. Apply base coat of your choice. Then using doting tool paint beads. With a thin nail brush do a few strokes to create a tassel. The brighter colors you use for the tassel the better it looks. PS What is your favorite? If you have any questions, please let me know.